eCite - Where are we going with Digital Technologies in Australian Schools? 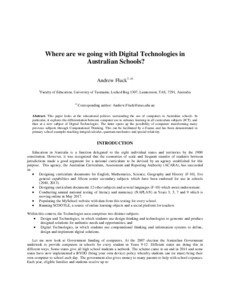 Where are we going with Digital Technologies in Australian Schools? This paper looks at the educational policies surrounding the use of computers in Australian schools. 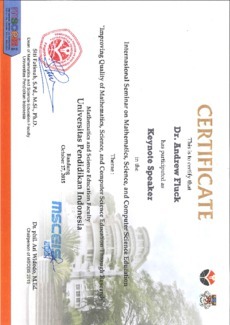 In particular, it explores the differentiation between computer use to enhance learning in all curriculum subjects (ICT), and then at a new subject of Digital Technologies. The latter opens up the possibility of computers transforming many previous subjects through Computational Thinking. This can be facilitated by e-Exams and has been demonstrated in primary school examples teaching integral calculus, quantum mechanics and special relativity.